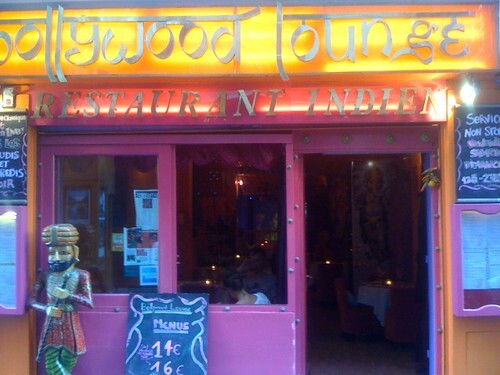 The Bollywood Lounge sits in the popular, tourist-friendly left bank near Notre Dame. It’s colorful interior will draw your attention. It plays on the seduction of Bollywood and promises a sophisticated, hip interpretation of Indian food. I have not eaten here yet. However, their menu (.pdf) is available online. Unfortunately, it only gives vegetarian food lip service and instead focuses on Chicken, Lamb, and Seafood. It’s probably due to the high rent neighborhood and the higher fees these dishes can capture. Bollywood Lounge does offer a vegetarian Thali, but it only consists of dal, raita, rice, samosa, and eggplant caviar for 14 euros. You can also order off the vegetarian side dishes menu. 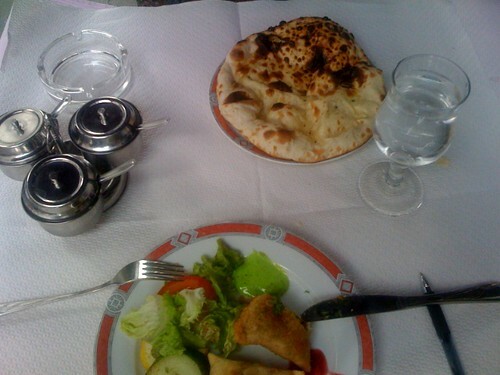 While this restaurant looks promising, I’m going to continue my search for good Indian food in Paris elsewhere.